Boxing is known as the “sweet science,” and the modern version of the sport can be traced back to London and the creation of the Marquess of Queensbury rules in 1867. It actually goes back much further, however, as boxing was a popular attraction for the bloodthirsty residents of the Roman Empire. As long as men have been fighting and the concept of money has existed, you can be certain that wagers were being placed on the outcome of matches. The bettor attempts to predict the winner of the bout. The money line format is often used in this situation, which means both fighters are assigned a number with either a positive or negative sign in front of it (example: Diego De La Hoya -1400 vs Jesus Ruiz +750). The fighter with the negative sign is the favorite to win, and the number shows how much you’ll need to wager in order to win $100. The fighter with the positive sign is the underdog, and his number shows the profit for a successful wager of $100. The option for a draw may also be included, but this differs from one sportsbook to the next. The bettor tries to predict which round the fight will be won in. Options includes a knockout for each fighter in rounds one through twelve, as well as a draw or decision on points. This wager offers several different outcomes for the bettor. For example, the Floyd Mayweather vs Andre Berto fight includes the following options: draw, Mayweather in rounds 1 through 12, Mayweather by decision, Berto in round 1 through 12, and Berto on points. The oddsmaker provides a pair of options for the length of the fight, and the bettor must choose between the two. In the bout between Wladimir Klitschko and Tyson Fury, for example, one site offered the following options: Under 9 Rounds & 9th Round or Over. Some books provide multiple combinations for the same fight, allowing customers to choose the option they like best. Instead of selecting the specific round that a fight will end, the bettor is provided with groups of rounds (1-3, 4-6, etc.). As long as the fight ends in the selected range, the customer receives their payout. These wagers aren’t as common, but you’re likely to find them offered for superfights that draw action from the general public. Examples include predicting which boxer will taste the canvas first or who lands the highest percentage of power punches. 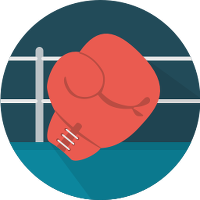 Prior to wagering on a boxing match, you should always take the following factors into consideration. They won’t predict the outcome all of the time, but they should give you a reasonable idea of what to expect. Learn to recognize the various fighting styles, as some match up better against others. If you’re not happy with the odds you’re being offered at one sportsbook, don’t be afraid to look somewhere else. It’s your money, after all. Pay close attention to any news out of training camp. This information is usually closely guarded, but advance knowledge of any sort of injury can give you a distinct edge over the line. Some judges are solid, while others have a record of making terrible decisions. Know their tendencies, especially if the fight might go the distance. Boxing betting takes place throughout the year, as there’s no off-season when it comes to men and women hitting each other in the face. It’s also a great opportunity to make some money, as the underdogs in the sport often provide huge payouts. If you’ve never tried your luck at wagering on the sweet science, now might be a good time to step into the ring.